Nigeria, the United States' most important strategic partner in West Africa, is in trouble. While Nigerians often claim they are masters of dancing on the brink without falling off, the recent vacuum in government authority, the upcoming 2011 elections, and escalating violence in the Delta and the North may finally provide the impetus that pushes it into the abyss of state failure. 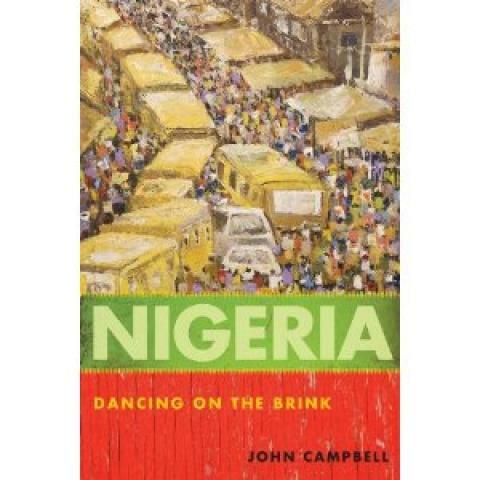 John Campbell explores Nigeria's postcolonial history and presents a nuanced explanation of the events and conditions that have carried this complex, dynamic, and very troubled giant to the edge. Central to his analysis are the oil wealth, endemic corruption, and elite competition that have undermined Nigeria's nascent democratic institutions and alienated an increasingly impoverished population. State failure would damage the interests of the United States. But it is not inevitable. Campbell suggests concrete policy options that would allow the United States to help Nigeria avoid state failure and promote political, social, and economic development.